Psychologist Hans Selye defines stress as a condition that refers to the internal reaction to environmental factors. Most people exhibit stress symptoms without even being aware that they are stressed or understanding the sources of the stress. If you want to effectively eliminate stress, then you have to take the first step of stress management which is to understand the sources of stress, also called stressors. There are different stress factors for every individual and stress factors are also dependent on the social cultural conditions. There is what is considered as a normal or acceptable threshold for stressors and this is socially defined and may also depend on gender roles and expected behaviors. For example, culture dictates that men are not allowed to cry in public even though it is a stress reliever. Stress is caused by environmental factors surrounding the individual. The body will release the adrenaline hormone as the first step towards preparing to take flight from the stressor. This will result in breakdown of glucose storage such as the glycogen and quick digestion of the food in the gut and the body must have adequate energy to power its flight. Any situation that is deemed as not favorable for the survival of the human being will result in stress. Naturally, the body prefers not to be in any form of stress. Stress is how the body responds to the environment. The body will respond to the threats that it may detect through the five senses. So what are the common sources of stress? Let us explore each source of stress. Physical stressors result from internal physical stress symptoms which include pain, headache, excessive dieting, etc. Physical stressors can also result from external physical stress symptoms which include pollution, excessive noise, physical injury, fatigue, drug use, and excessive exercise. Psychological stressors arise from time pressures or the unrealistic expectations we place on ourselves or allow to be placed on us by others, such as being perfect, knowing everything or suppression of feelings at all costs. A person who is under a lot of psychological stress can suffer from anxiety, depression, and/or substance abuse. Emotional stressors are stress factors which can arise from relationship problems with parents, spouses, children, friends and non married couples. People in relationships who always argue can feel stressed out in trying to work out their differences or stressed out in trying to keep a relationship working. Sometimes, you can also become the source of your emotional stress as you try to set high expectations for yourself, experience fears, uncertainties and even just having a negative view of the world can be emotionally stressful. 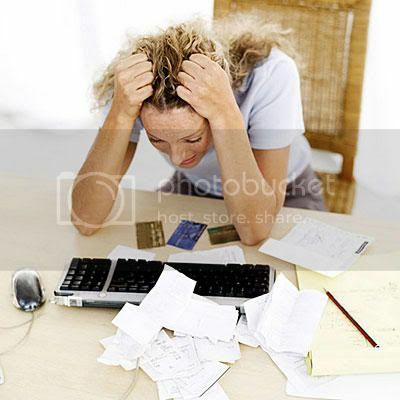 Financial stressors are also common. People with cash shortage can feel stressed out specially when they are parents who are trying to send their kids to schools or students who need to find a part time job in order to be able to continue studying. Because the world is feeling a financial crunch, people feel even more stressed out in trying to scrunch up money to pay for all their needs and bills. There is also what we call spiritual stressors which arise when basic spiritual values or beliefs are reformulated, called into question, disregarded, or when time constraints impede on spiritual growth or attendance at services. Neglect of spiritual needs contributes to higher levels of stress and impairment. Social stressors are abundant and can arise in any context where interpersonal relationships exist, like school, work, church, and community. When demands at work or school become heavy, people tend to feel stressed and because attention and time are required to accomplish heavy workloads, there’s a possible loss of contact with friends and family which contributes to feelings of loneliness among busy people which in turn stresses them out even more. Social stress can also arise from continued forced contact with individuals with whom you may not share the same values or beliefs. Academic stress arises with changes that a student must go through as he or she progresses through school especially in College. Students especially the freshmen and the seniors face not only competition but fear of failure as well. Not a day in your life goes by without encountering a situation or event that may trigger stress and that’s okay. By identifying and understanding the sources of your stress, you learn to manage it better.